It's official! Dodge is going to build this car. Even better is the production run is to resemble very closely the concept package. This will be a true American muscle car powered by the ultimate American motor - the Hemi. Dodge seems to have taken many of the styling cues found in the 1970 Challenger and incorporated them into the design. Public feedback and response has been very positive. 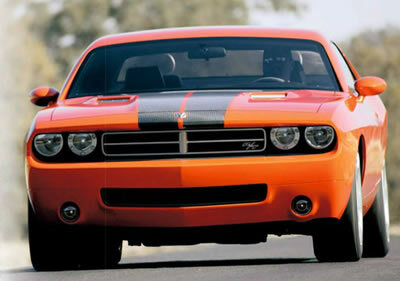 It is expected the Challenger will be powered by a 425hp 6.1L Hemi V8 motor and mated with a six speed transmission. The countdown has begun! 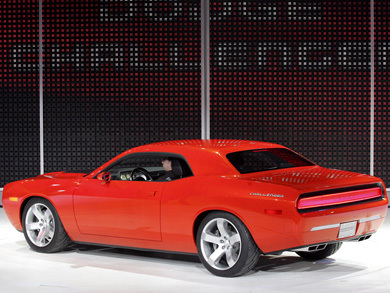 According to Dodge the car will be unveiled as a 2008 model and sold in the summer of 2008. Rumour has the pricing at approx. $30K. However, the R/T model is expected to be significantly more expensive.